Next month, Brighton and Hove will become the latest council area to publish the report of its Fairness Commission. Established in 2015, Brighton and Hove’s is one of 24 Fairness Commissions set up in the last five years across the UK, in areas ranging from Dundee to Plymouth. 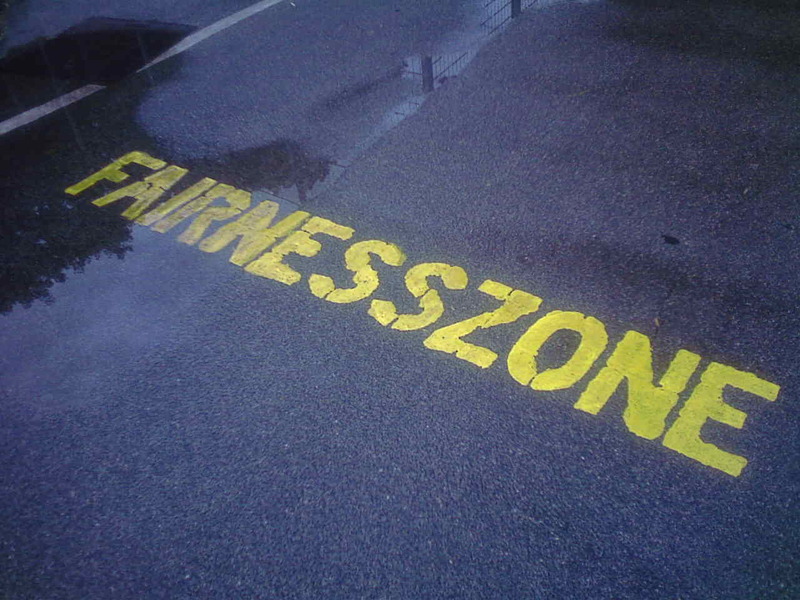 Fairness Commissions began to come together in 2010, in the wake of rising inequality in the UK. Inspired by the publication of The Spirit Level: Why More Equal Societies Almost Always Do Better by Kate Pickett and Richard Wilkinson (the founders of The Equality Trust), local authorities came together with academics, trade unions, and third and private sector partners to draw up recommendations for ways of tackling inequality and poverty in their local area. Similar to a parliamentary select committee, Commissions begin their work by gathering evidence from the public, which is then analysed and synthesised into a final report containing recommendations to the local authority. Typically, this process lasts for a year. Scope: decide what and whom you are targeting with the commission. Language: decide what to call the commission and define its purpose. Resource: decide on a proportionate budget and allocation of staff time. Leadership: invite commissioners to participate and appoint chairs. Communication: start talking about the commission locally and invite people to participate. Participation: gather evidence and solutions through a range of methods. Analysis: develop recommendations based on the evidence and possible solutions. Recommendations: make recommendations for change to the relevant organisations. Implementation: put the recommendations into action. Evaluation: monitor progress, measure change, and report on it. Two key reports have been published by Commissions in London: one by the pan-city London Fairness Commission and another by the Tower Hamlets Fairness Commission. Inequality between the East and West of the City dates back to Victorian times and while Tower Hamlets has seen some improvements, most notably due to investment in education, this gap still persists. Although home to the global financial hub Canary Wharf, a major contributor to the borough’s £6 billion a year economy, 49% of Tower Hamlets’ residents live in poverty – the highest proportion in the entire country. Despite ever increasing house prices and rents in London – an average income of £75,000 was required to privately rent in the borough in 2012 – a fifth of its residents earn under £15,000 a year. These figures, alongside evidence of stark health inequalities and the impact of welfare reform, formed the basis of the Fairness Commission’s inquiry in 2012-13. Speaking to residents, the Commissioners found a distrust of the big business that now dominates the borough, partly due its perceived contribution to the gentrification of the area. Residents whose families had lived in Tower Hamlets for generations spoke of feeling like they existed in a “parallel world” and that opportunities in the borough were inaccessible to them. The Commission’s final report made a total of 16 recommendations, for local and national government and the third sector, aimed at bringing the local community back together and making Tower Hamlets a fairer place to live. The London Fairness Commission was one of the organisations who made recommendations to the new Mayor of London ahead of his election on the 5th of May. In a poll conducted one week prior to polling, the Commission found that three out of four respondents believed that the income gap between those on the highest incomes and those on the lowest incomes had increased over the last five years, and that the majority would welcome the introduction of an annual London Fairness Index to test whether the city is a fair one in which to live. suspending the right to buy scheme for five years while supply is increased. Reducing inequalities was also a key feature of the Scottish Parliament elections, with First Minister Nicola Sturgeon pledging that the SNP would “use every power” to tackle poverty and inequality in the country. Sturgeon also detailed plans to implement the recommendations of the Independent Advisor on Poverty and Inequality, publish a Fairer Scotland Action Plan, and reintroduce the socioeconomic duty for public bodies to consider the impact that their decisions will have on narrowing inequalities. With the UK government committed to continuing their austerity programme, and persistent evidence that the UK is one of the least equal of the world’s developed countries, it’s clear that reducing inequality and striving for fairness will, and must, remain high on the political agenda for the foreseeable future. London’s tech industry has become one of the key drivers of growth in the capital. Within the first nine months of 2015 the industry raised approximately £1.1 billion; a substantial increase on the £911 million raised throughout 2014. Over the next 10 years, Oxford Economics research expects the sector to grow at a rate of 5.1% per year and to generate an extra £12 billion of economic activity. It’s predicted that this will create an additional 46,000 digital jobs. However, the growth in London’s tech industry is not guaranteed. Although current London Mayor Boris Johnson claims there are more professional developers in London than in San Francisco’s Silicon Valley, a recent CBI/KPMG London Business Survey indicates that there is still a shortage of skilled professionals. Jess Tyrrell, Associate Director for the Centre for London and Director of the Connecting Tech City Programme, explains that “the skills shortage has grown from an ‘issue’ to a ‘crisis”. She warns that unless London can develop its talent pipeline, its digital potential may never be realised. With so much at stake, it’s not surprising that the tech industry has become an issue in London’s mayoral election. One of the front runners, Conservative MP Zac Goldsmith, has promised that he’ll appoint a chief digital officer (CDO) to manage the city’s data and introduce a £1m “Mayor’s Tech Challenge” to encourage innovation. He has also voiced concerns at losing young tech professionals because of the cost of housing. Labour MP Sadiq Khan (reported by YouGov to be currently leading the race) recently met with leaders of the industry body Tech UK. The organisation noted that Mr Khan was particularly interested in tackling the skills shortage and looking at how young Londoners could be better represented in the tech industry. The first challenge is self-evident. For a digital economy to be successful, it must be built on fast, reliable, access to broadband. Perhaps more interesting is the relationship between improving diversity and the skills shortage. Most notably, there is a strong argument that encouraging non-traditional groups – i.e. those who are not white, male and middle class – will help reduce the skills shortage. The Committee’s manifesto also makes a number of recommendations for the new Mayor. For example, it suggests that tech apprenticeships should be designed to give disadvantaged Londoners the best possible training, and that the Mayor could endorse the industry-led TechTalent Charter, which aims to increase gender diversity in the tech industry. 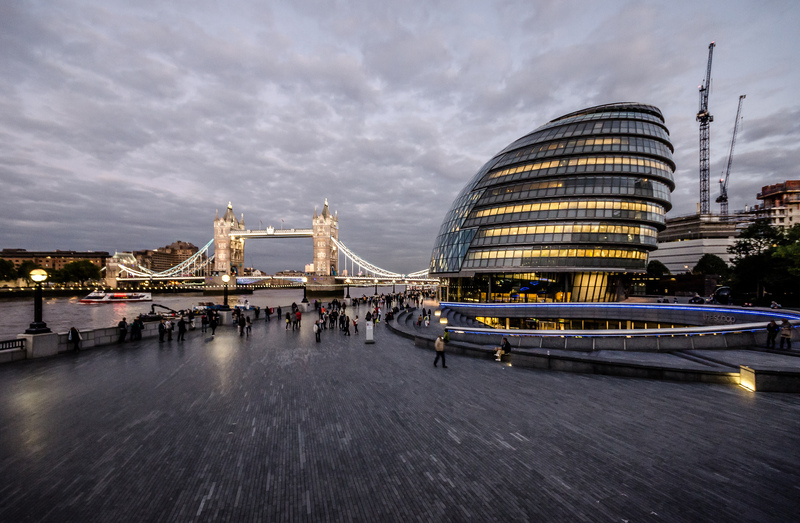 Like the London Assembly’s report, the Tech Manifesto focuses on the current skills shortage, noting that 93% of tech firms believe the skills gap is having a direct negative impact on their business. The manifesto argues that London must do more to mend its fractured talent pipeline. One suggestion put forward is to establish a Digital Apprenticeship Task Force within the first 100 days of the new Mayor’s term of office. Its purpose would be to improve the quality and quantity of higher and degree-level apprenticeships. The next Mayor, say the authors of the manifesto, should work with the tech sector to ensure that the apprenticeships are fit-for-purpose, and should be particularly focused on areas where demand for skills is greatest. With the EU referendum on the horizon, it’s also interesting to note the emphasis on tech companies having the freedom to recruit talent from across the globe. The manifesto recommends that the next Mayor should be an advocate for providing clear routes for migrant workers under the Tier 2 skilled worker visa, and oppose any restrictions. It also suggests that the Mayor should work with London universities to investigate the possibility of a trial of the Post-Study Work Visa for occupations where there is a clear skills shortage. The shortage of tech skills is a global problem. However, it’s a challenge that London must address if its digital economy is to avoid a slowdown. A key priority for the next Mayor of London should be to develop the tech industry’s talent pipeline. In practical terms, this is likely to involve protecting the industry’s access to skilled migrant workers, to ensure London’s growth in the short term, alongside investing in London’s diverse population and encouraging the best and the brightest to seek out exciting tech careers. Further reading: if you liked this blog post, you might also want to read our other articles on the digital sector. Image by Tom Chance via Creative Commons. “bolster investment in infrastructure and reform planning law to improve economic competitiveness”. The Act has resulted in a number of policy changes. The majority of these are relatively mundane and are unlikely to engender much public scrutiny; however, there are a few high profile and controversial changes. Below I’ve outlined some of the most important changes for local authorities, as well as communities. The Act has introduced changes to Local Land Charges, transferring responsibility from individual local councils in England and Wales to the Land Registry, which will be providing a broader range of services. This was recommended in the ‘Land Registry, Wider Powers and Local Land Charges’ report, which suggested a need to standardise costs and provide a more predictable service. This has been criticised by the Local Government Association (LGA), who have suggested that local councils are best placed to meet the needs of businesses and local residents. They have also raised concerns about the costs involved in making technical changes to local council systems, as well as the disruption it would cause to the property market. It’s estimated that local councils have about 20 million entries on their registers of Local Land Charges, across 350 local councils. 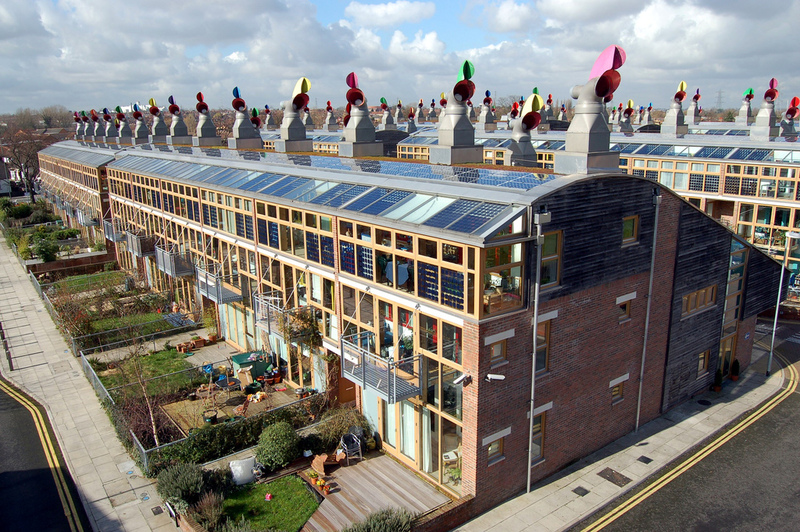 Individuals within or connected to a community have been given the rights to buy a stake in renewable electricity schemes. This appears to have been well received, as local residents are now able to receive some of the financial benefits of local electricity production. However, changes to hydraulic fracking have been a lot more controversial. The Act allows energy companies the right to exploit petroleum or deep geothermal energy, without notifying the owners of the land, as long as it’s at least 300 meters below surface level. They also have the right to put any substance underground, to change the condition of the land, and to leave material behind. Not surprisingly, campaigners, such as Simon Clydesdale from Greenpeace UK, have criticised these changes, suggesting that the new legislation is encouraging fracking and is so loosely worded that it could possibly permit the burial of nuclear waste. The Act makes it clear that certain types of planning conditions can be discharged if on application to the local authority, the developer has not had a decision made within the prescribed period. It also allows the Secretary of State to make a development order relating to the discharge of a planning condition in an area. This would mean that local authorities would not be able to stop these developments for lack of written approval. These orders provide greater powers to the Mayor of London to grant planning permission for development on specified sites within Greater London. It’s been seen as a useful reform to make it easier for planning permission to be granted on complex sites that cross local authority boundaries. This has been viewed as important for tackling London’s housing shortage. Although not all of the changes are as high profile as fracking, it’s important that local authorities take time to examine the Infrastructure Act, and to make sure that they are ready to respond to the new legislative environment. Although many of the changes in the Infrastructure Act will not come into force until a later date, local authorities need to be aware of the possible impact on planning processes and procedures. Over two thirds of UK local authorities use Idox solutions to effectively manage the property and development lifecycle. The Idox Information Service can give you access to a wealth of further information on planning issues. To find out more on how to become a member, contact us.